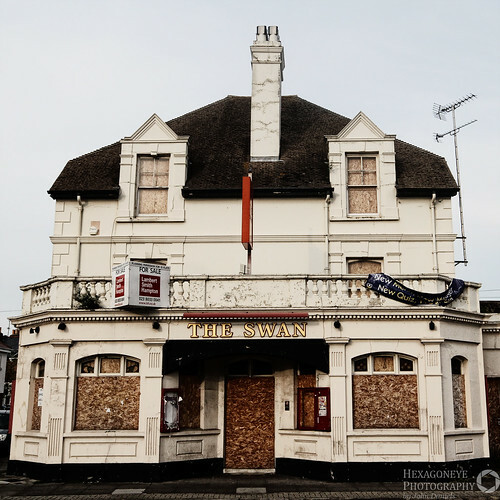 Abandoned Portsmouth – The Swan, originally uploaded by Hexagoneye Photography. One many closed down pubs in Pubs in Portsmouth. Smoking ban, recession and cheap supermarket booze taking its toll. Thought I’d restart the Abandoned Portsmouth Theme.